This year, there were more halls and rooms open than last year. 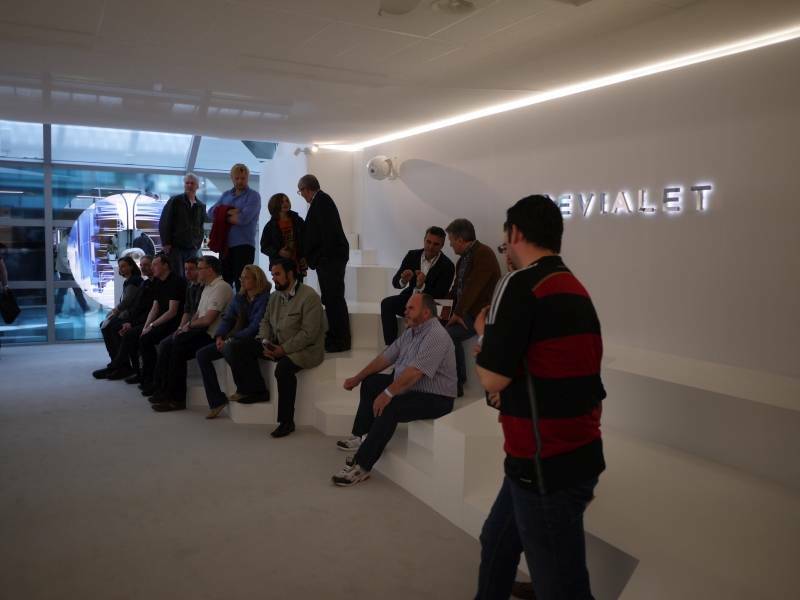 So there was more space, and a bit less jam on the corridors, even though more visitors have been reported by the HighEnd Society. I hope I could fetch some interesting stuff for you, here you are. Have fun. 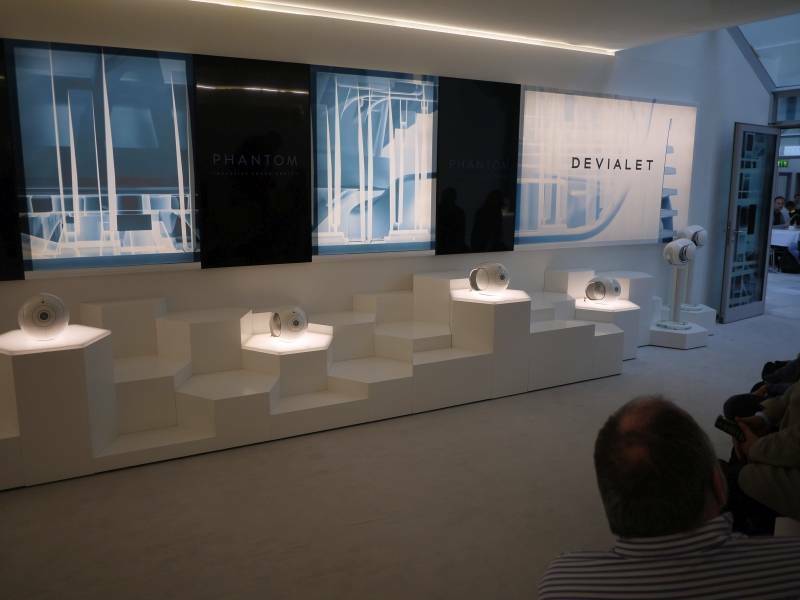 Devialet from France showed us the future of highend audio. 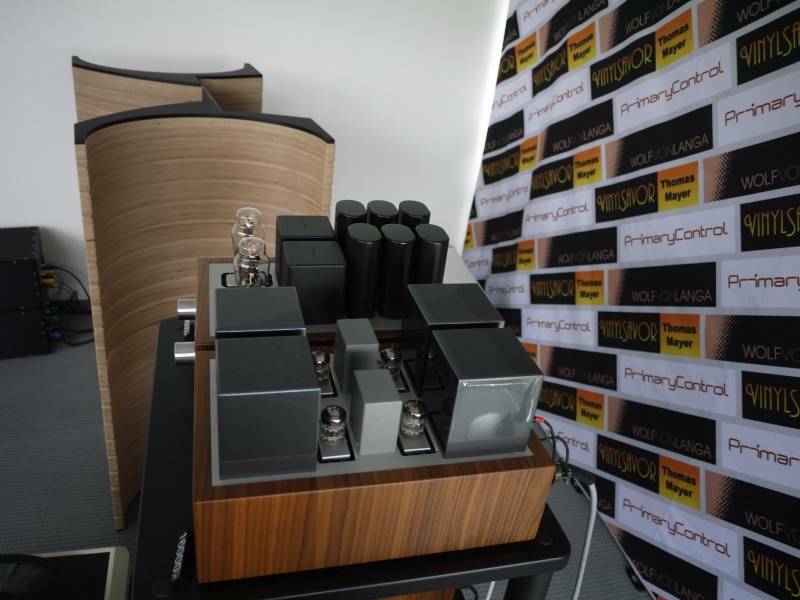 They presented their class D amps as well as new active loudspeakers capable of very high playback volume, even in the lowest frequency regions. 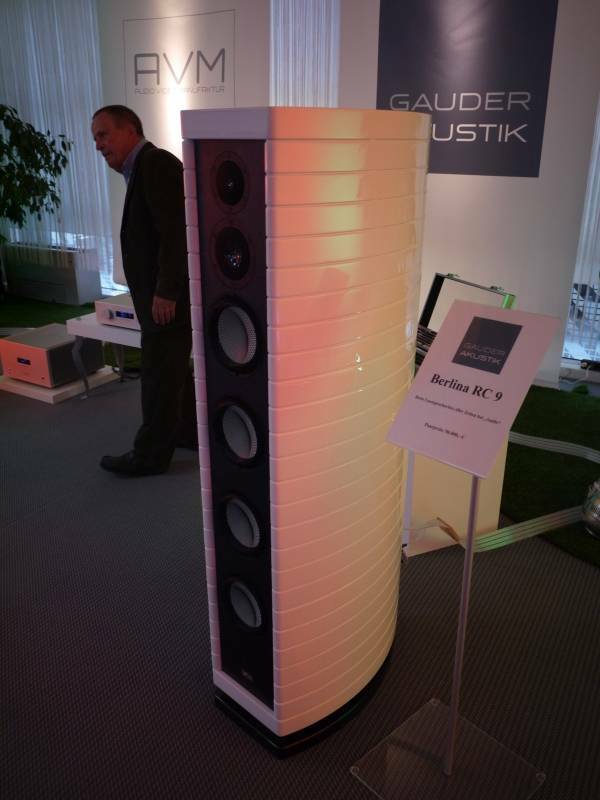 As the loudspeakers are quite cute and compact, they surely really need that 4000 watt of amplifier power attached to them. 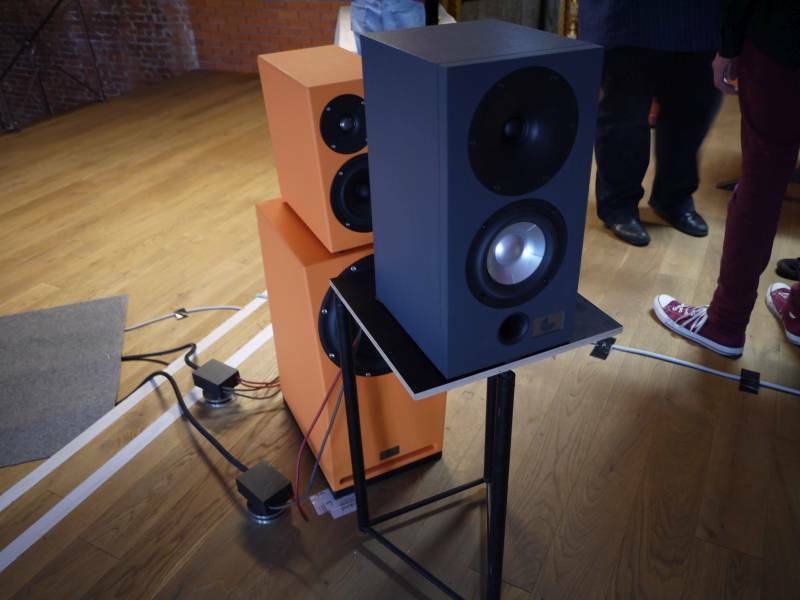 Said loudspeakers were presented in a showroom, which reminded me very much of the Moloko milk bar of Kubrick's “Clockwork Orange”. Very cool! You can shout out now: ”not another vintage and vinyl show report”, but I have no mercy. Sorry, but I am addicted. 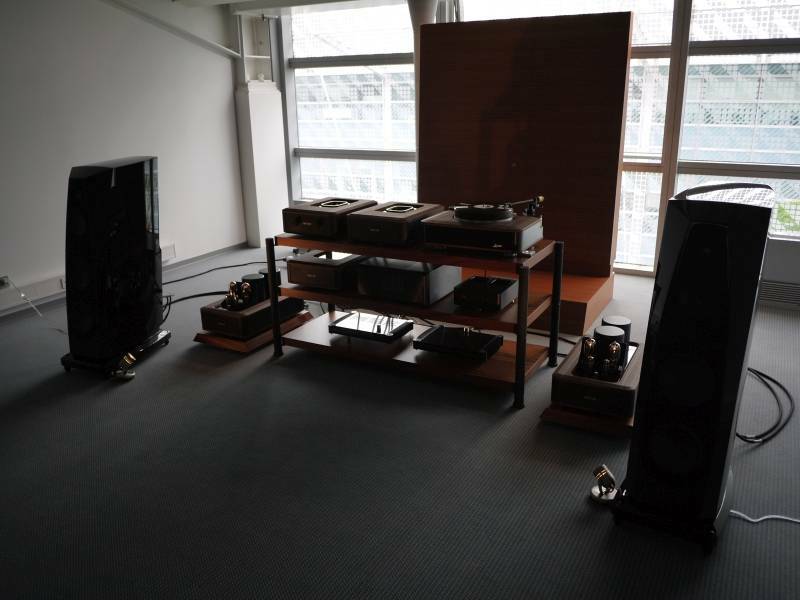 Following a long tradition, Silbatone from South Korea brought a pair of big vintage speakers. 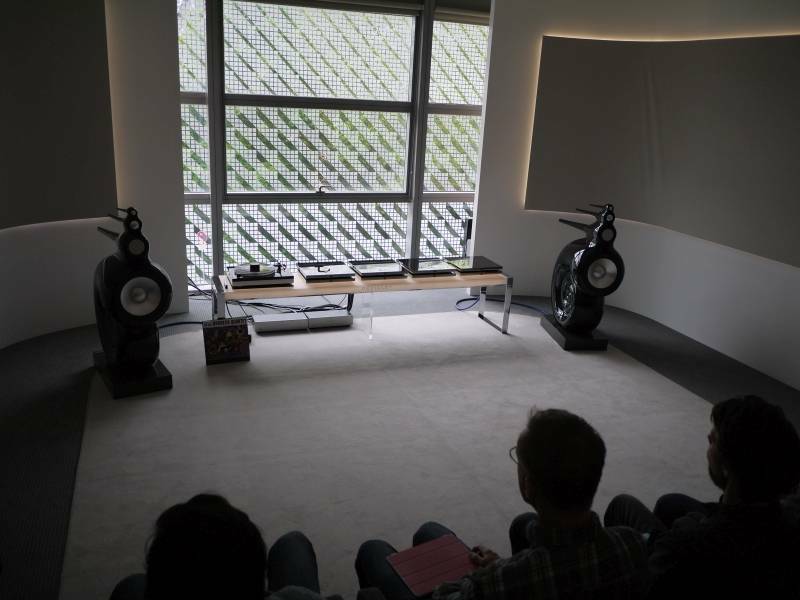 The speaker consists of a setup from 1933, consisting of a 12 inch WE TA4165 fullrange in a front-loaded waveguide, assisted by a WE 597 tweeter. While it lacked the dynamics of the installations of the years before, it sounded well balanced and very comfortable to the ear. Classical music made more sense than in previoius years, and they avoided Led Zeppelin this year. 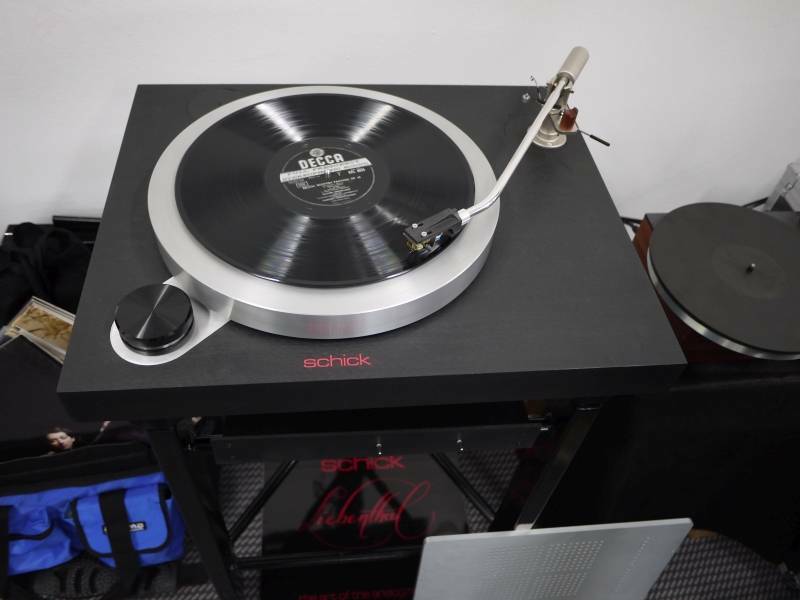 Thomas Schick from Germany showed his new turntable “Liebenthal”, which is his interpretation of how the definite ultimate idler drive turntable should like. 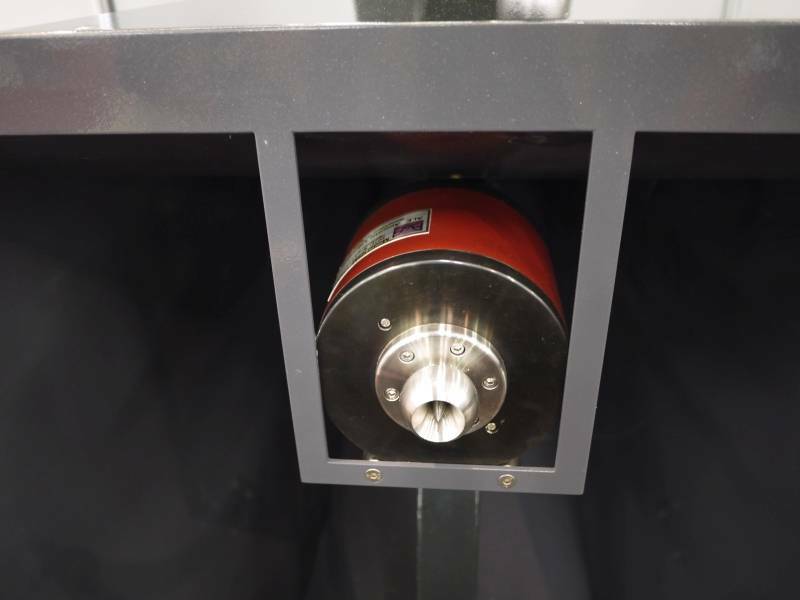 While he used air suspensions with his first prototype, this version now uses magnetic base feet of Alto Extremo from Germany. 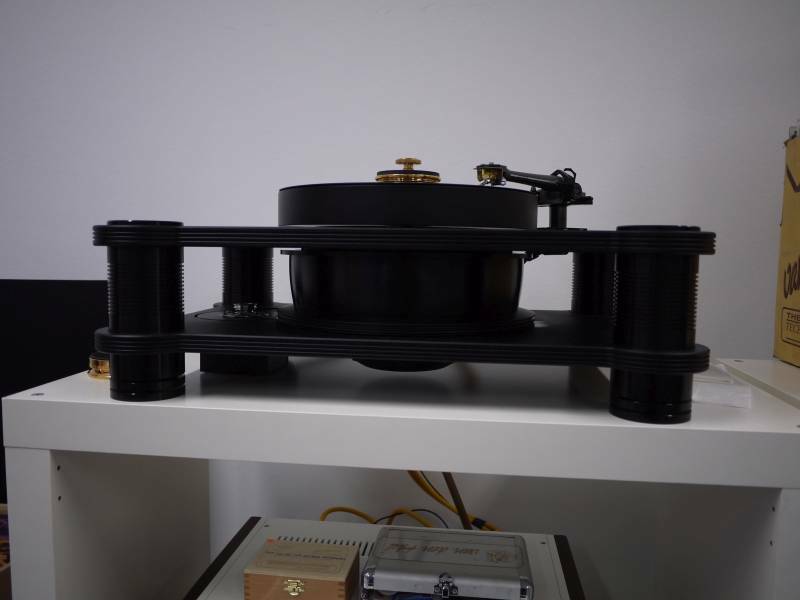 Frank Schröder from Germany contributed an extremely compact DIY effort made of Elac idler drive turntable parts. 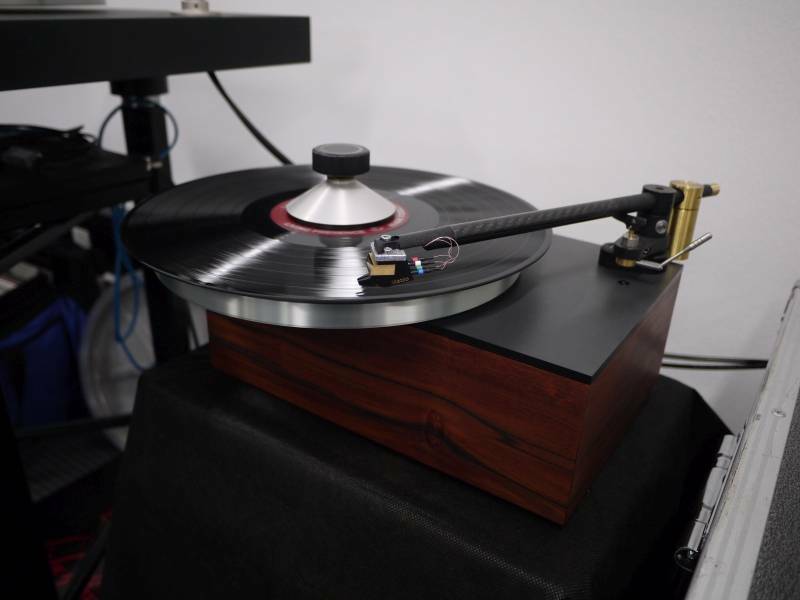 It is just the proof that a turntable needs not to be big to sound good. Thomas Mayer from Germany, Wolf von Langa from Germany and Bernd Hemmen of Primary Control from Netherlands shared a room. All things are a lot less expensive than last year, but nevertheless played effortless and beautiful. 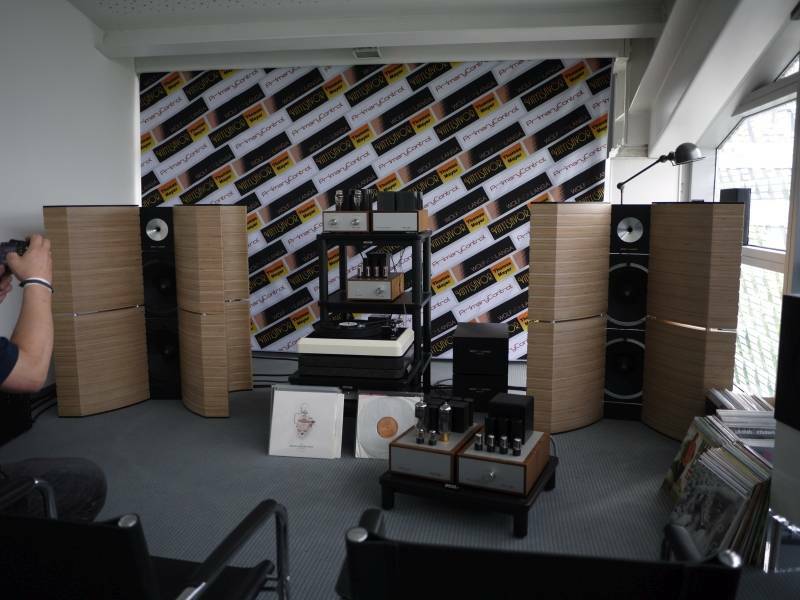 Thomas Mayer had his famous EC8020 phono stage, and the new Elrog 300B single ended power amp. 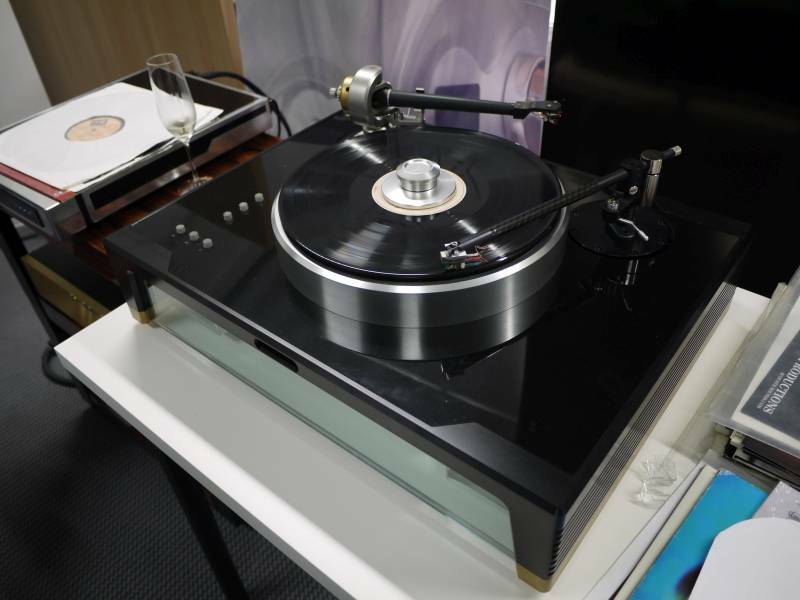 Bernd Hemmen’s tonearm was supported by his own new turntable, and I very much liked the looks of Wolf von Langa’s new fullrange with tweeter speaker. 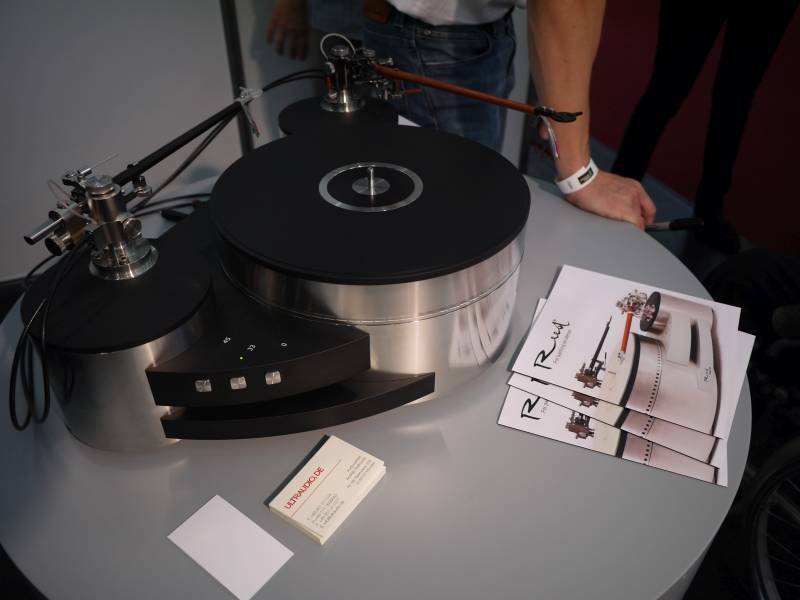 Jozef Radzimski of JRaudio from Poland presented a turntable and the pantograph style “Impossible” tonearm. 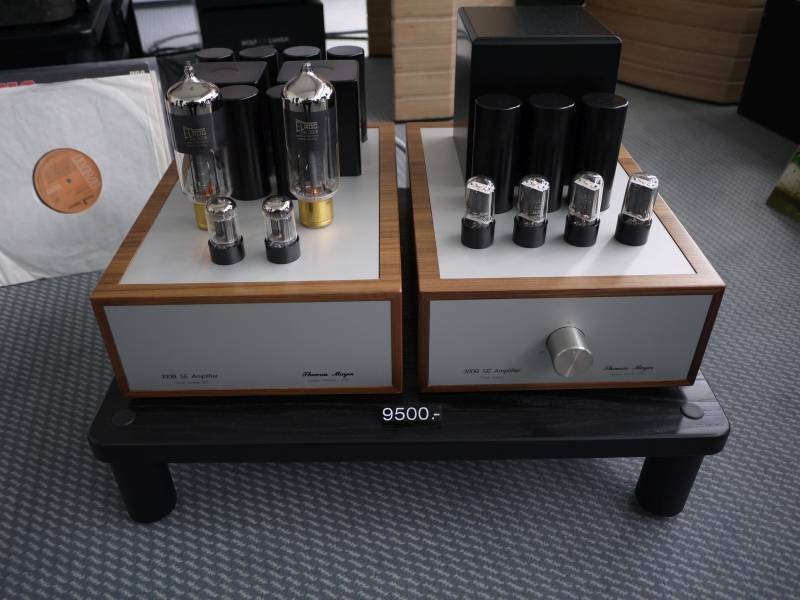 Interestingly, the combination of both should cost around only 6000 EUR. 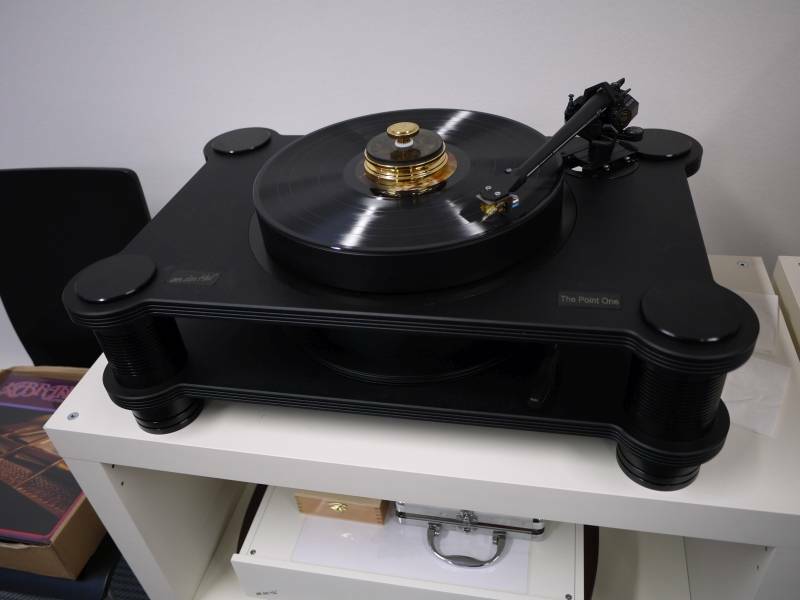 It took the tonearm in my hands, and was surprised that it showed up no play it its bearings, unlike the Thales parallel trackers from Switzerland. 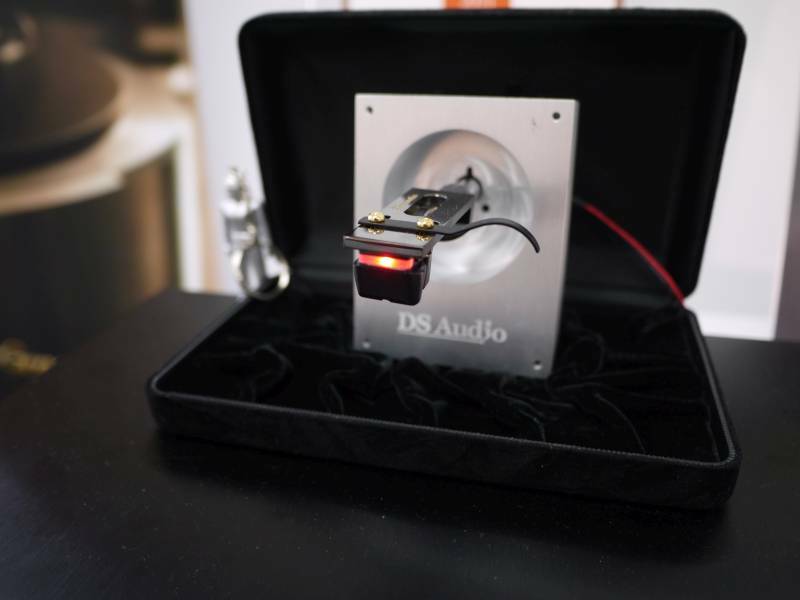 The Night Rider cartridge from DS Audio from Japan is an optical cartridge for vinyl playback. The technical principle behind this is quite old, but since LEDs are able to generate high light intensity at low heat these days, maybe the time is ripe for this now. 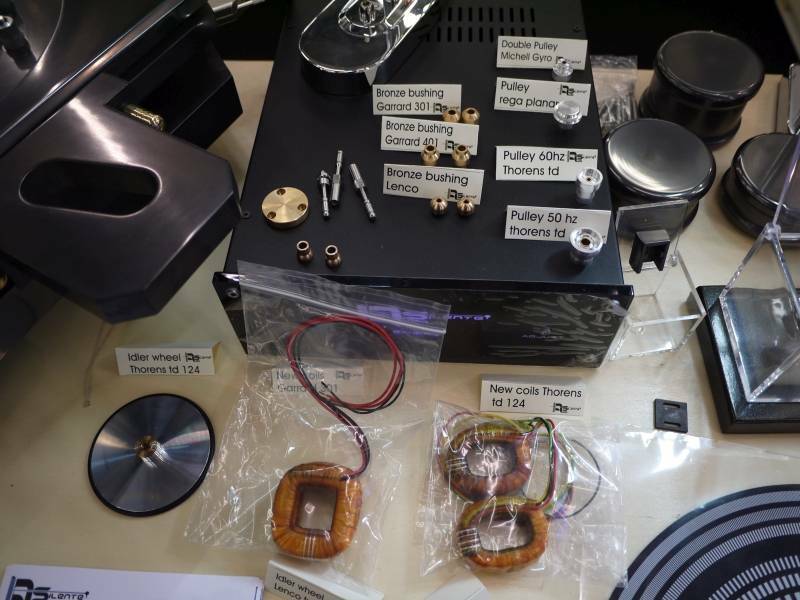 Actually, the Night Rider is a displacement transducer (much like the Strain Gauge cartridges from Soundsmith or Panasonic), not a velocity transducer (like regular MC, MM, MI cartridges). 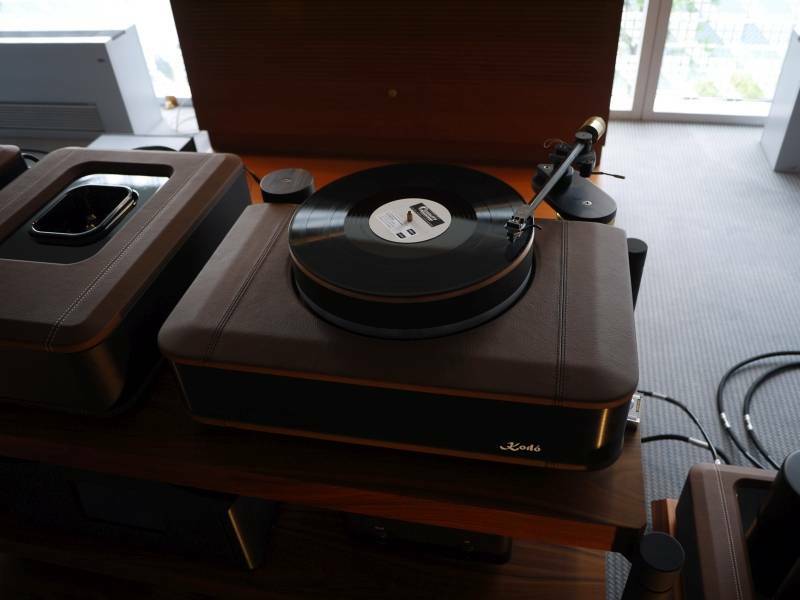 So it does not need a RIAA, but a special power supply with a lot less of equalization. 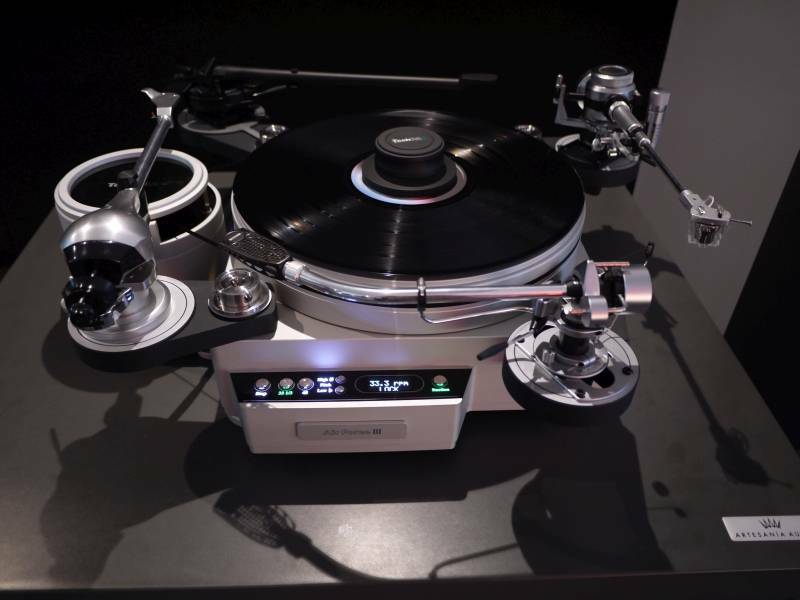 Stephan Goetze of Physical Emotions from Germany has designed a new turntable with outstanding mechanical precision and technology. 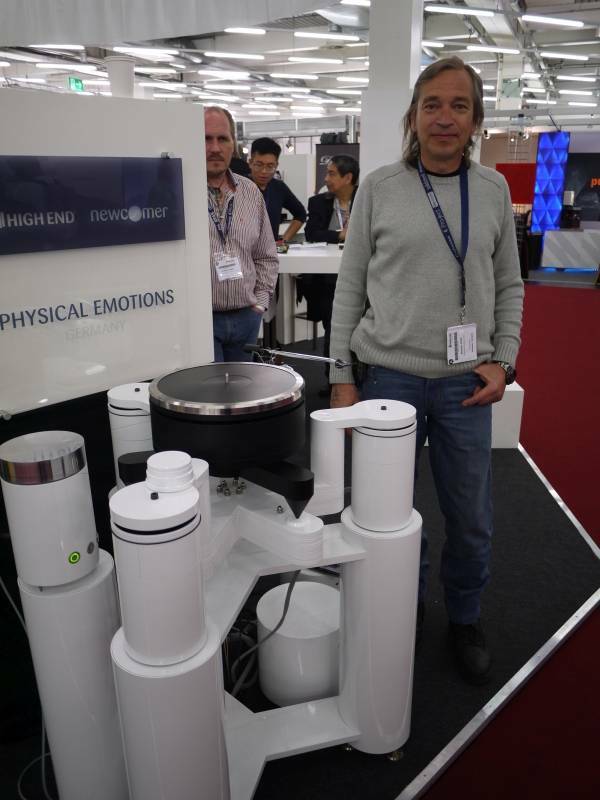 While at first sight, it is just another big oil rig turntable, when understanding all the technology behind it, it is clear, that this is real engineer’s dream. 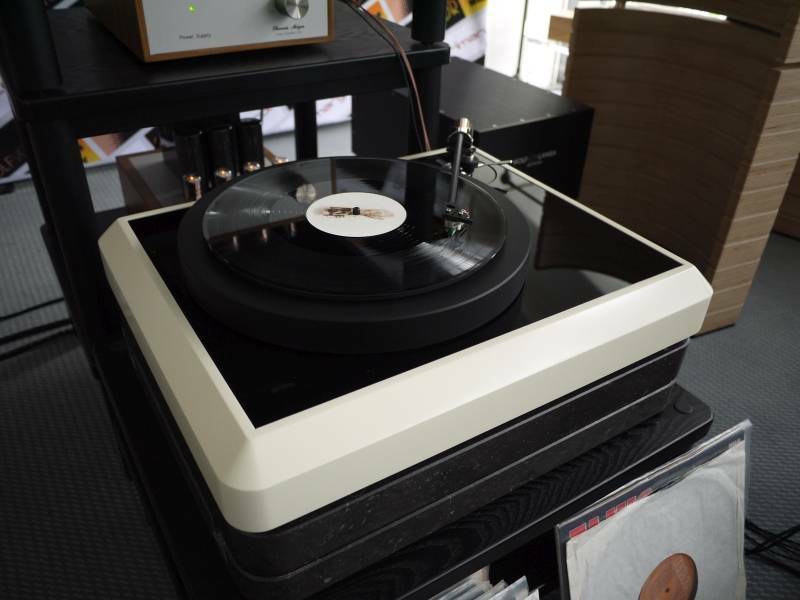 So there is an air bearing for the platter as well as for active dynamically controlled isolation of the turntable. 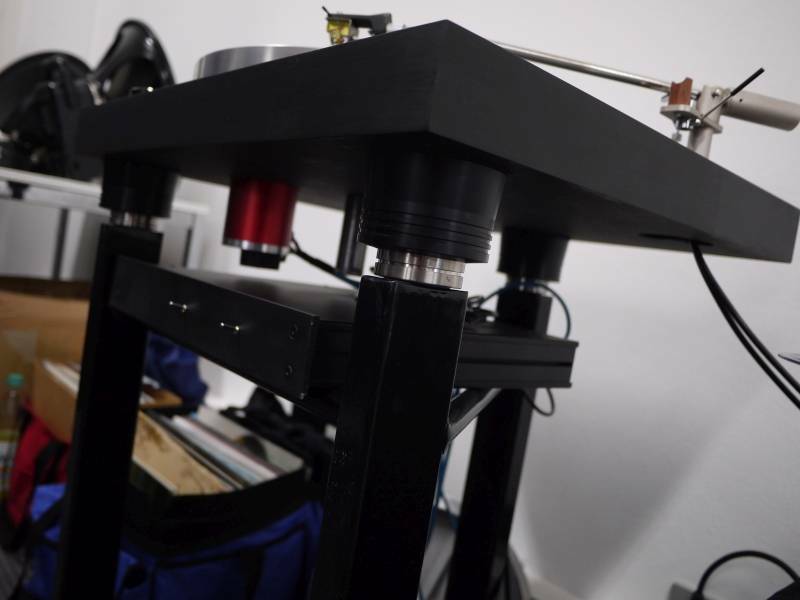 Then the platter is built up from two components, a drive platter, which is attached to the bearing and connected to the motor string, and a playback platter, which is isolated from the drive platter by spikes. Both platters are from compound materials and optimized for their tasks. 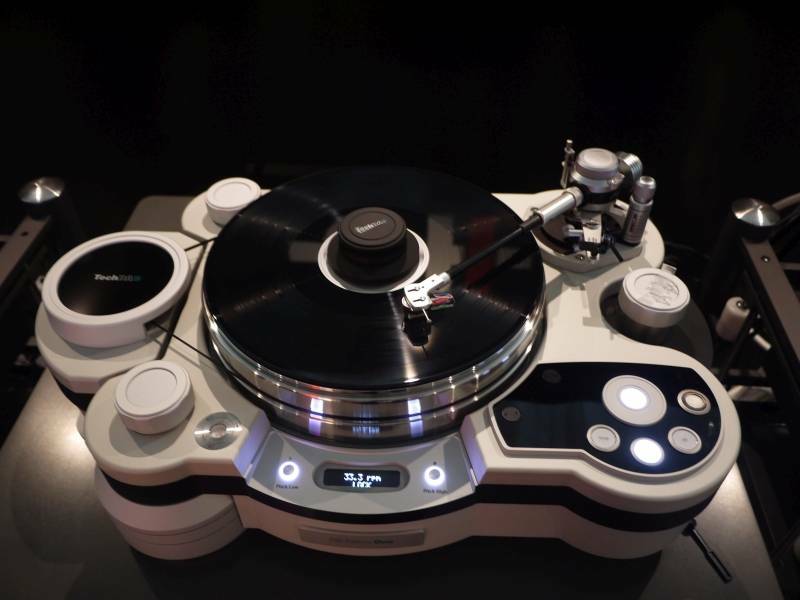 There are a lot more things to discover with this turntable, just go to their website and look for “specs”. Despite the technology, the price is set well below 50,000 EUR. TechDas Airforce from Japan was present in several rooms. Below you can see Airforce 3 and Airforce 1. 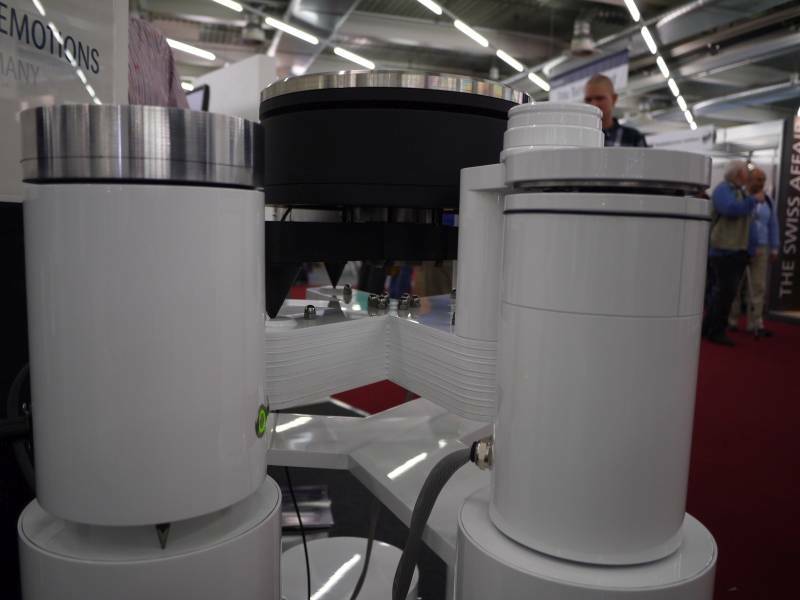 These turntables have been designed by the same guy how did the big Micro-Seiki turntables more than 30 years ago. What beautiful constructions! 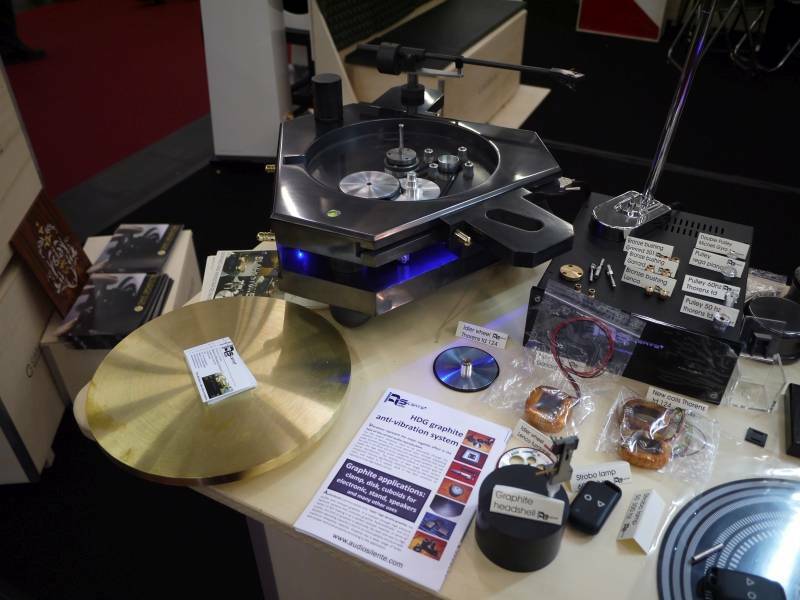 Simone Lucchetti of Audio Silente from Italy had a lot of audio accessories for the vintage turntable lover, like bearing or motor parts for Garrard or Thorens TD124. 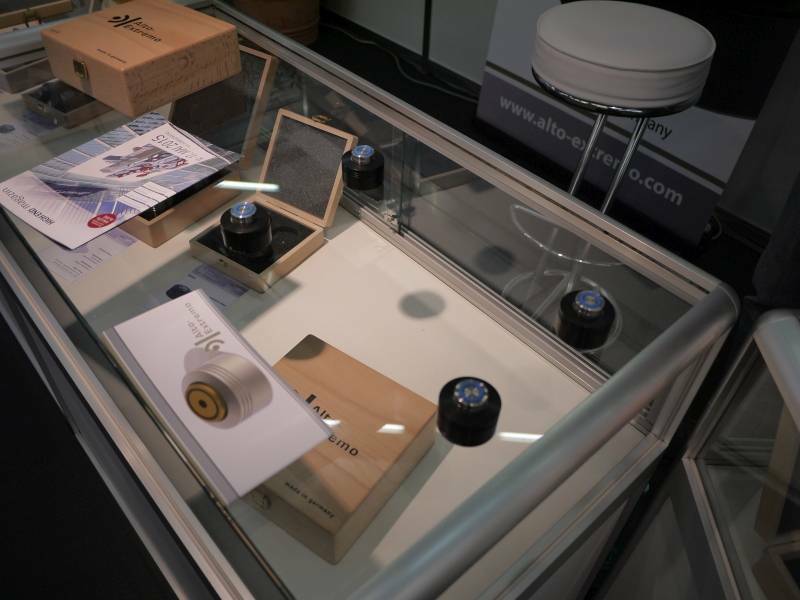 Idler wheels for Lenco or Thorens just cost 40 EUR resp. 45 EUR. Great! 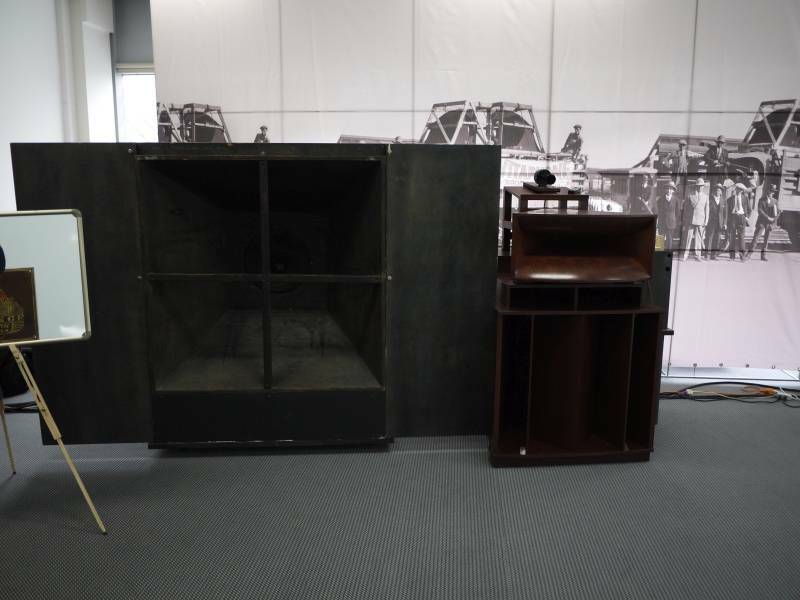 Onda Ligera from Lithuania had a very unconventional loudspeaker with no cabinet or baffle at all. 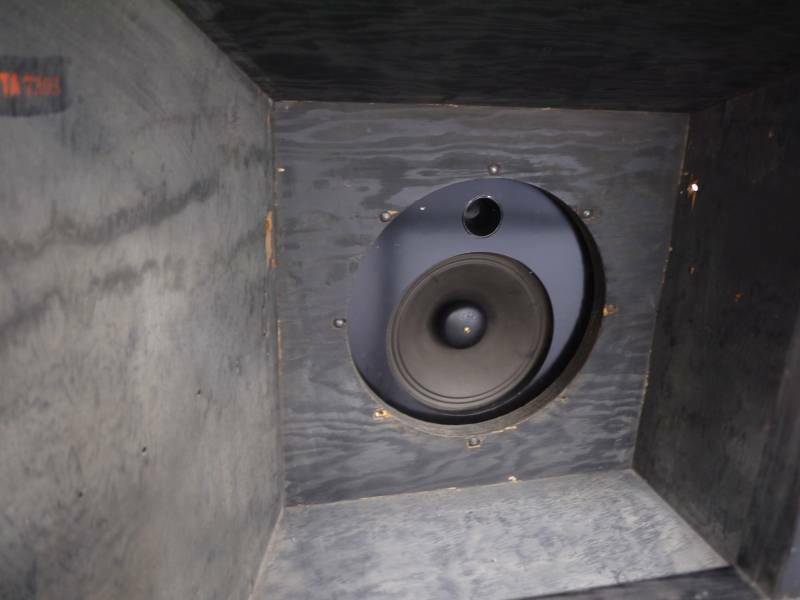 It consists just of 4 18-inch woofers and a midrange horn. 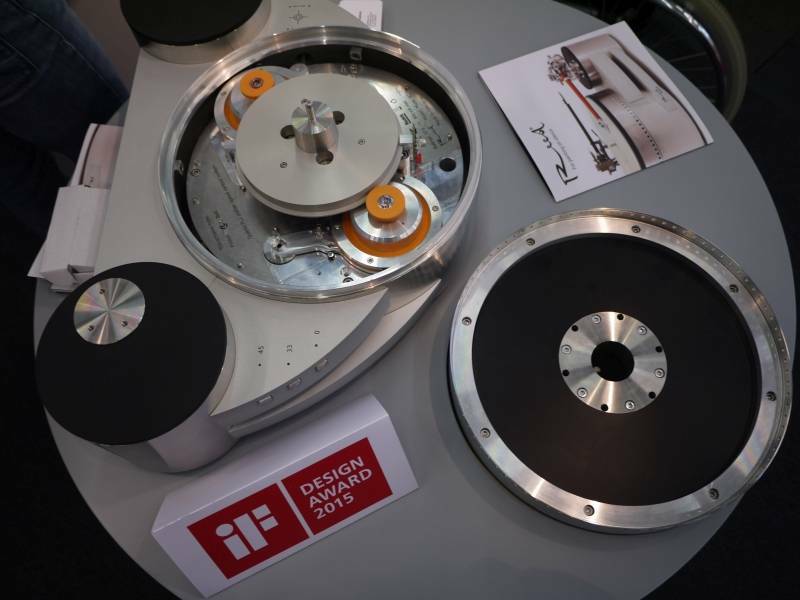 Van den Hul from Netherlands had his “point one” turntable playing, with quite an interesting bearing and platter construction. 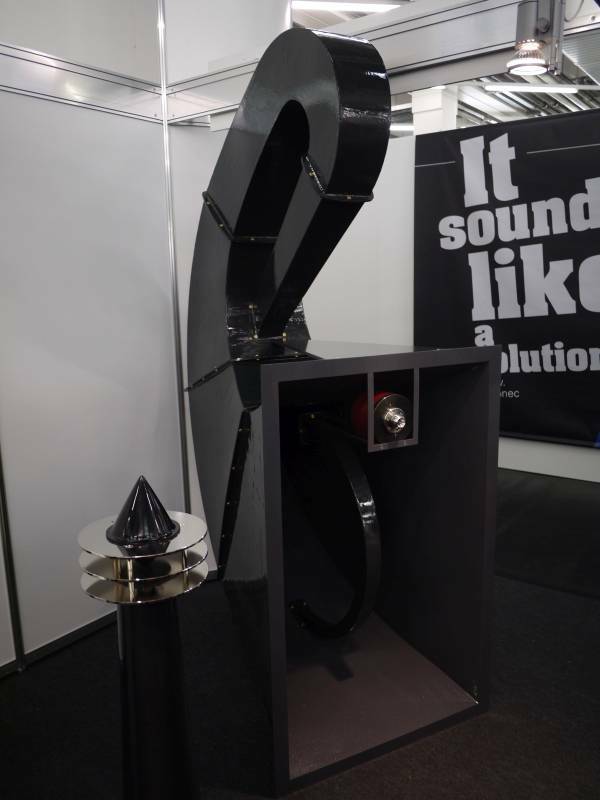 Gauder Akustik of Germany, formerly known as Isophon, showed their top range of loudspeakers with diamond tweeters and midranges. 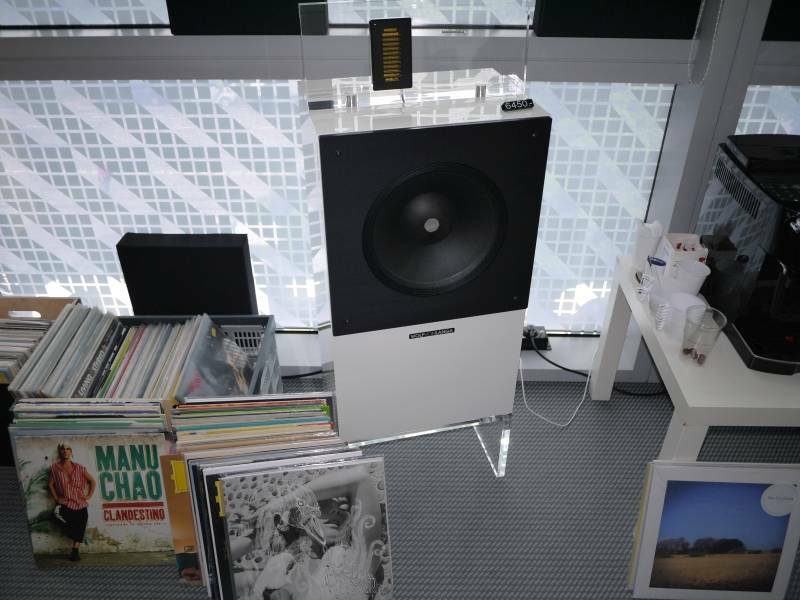 This was also very good sound, and Mr. Gauder obviously had an excellent musical taste according to his selection of records. 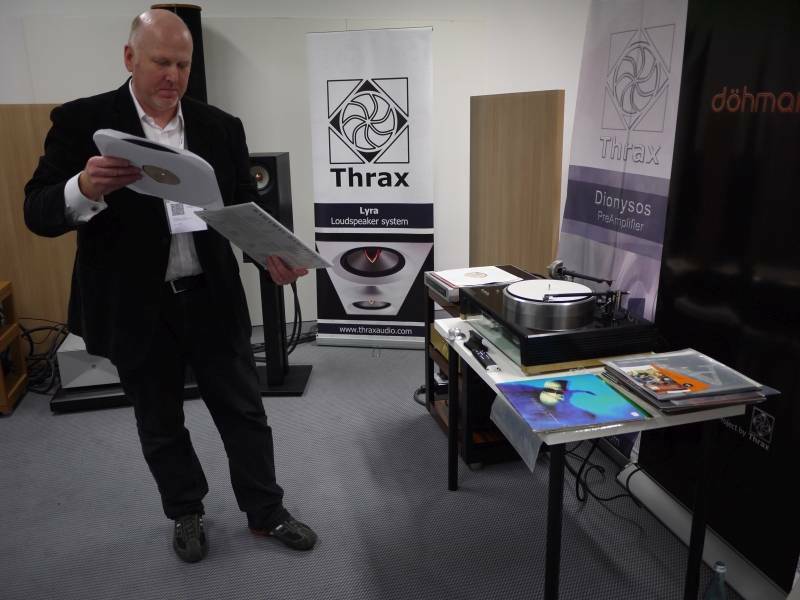 Joachim Gerhard of Suesskind Audio from Germany, former president of Audio Physic, had a selection of his new loudspeakers at the show. I liked the Argento Nuovo very much. 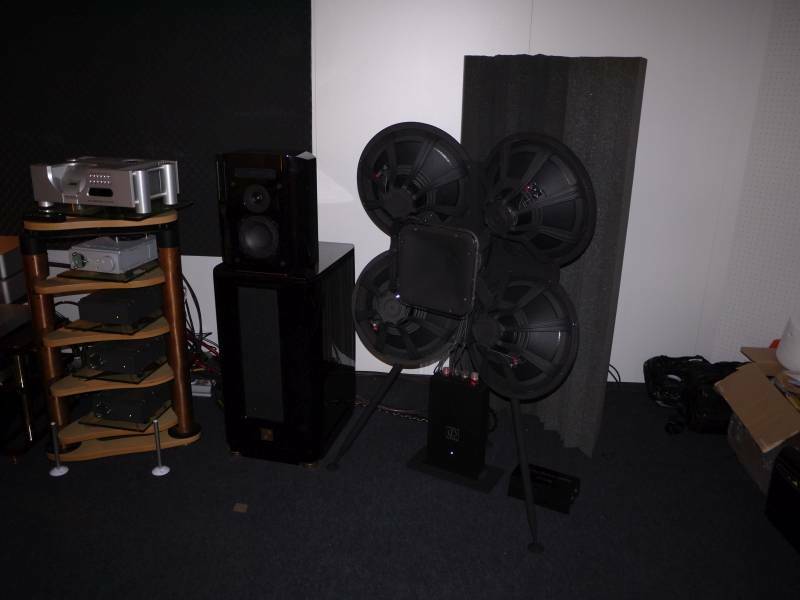 The amplification for this setup was excellent, by Frans de Witt. Be Yamamura of Yamamura Churchill had their big horns at static display. 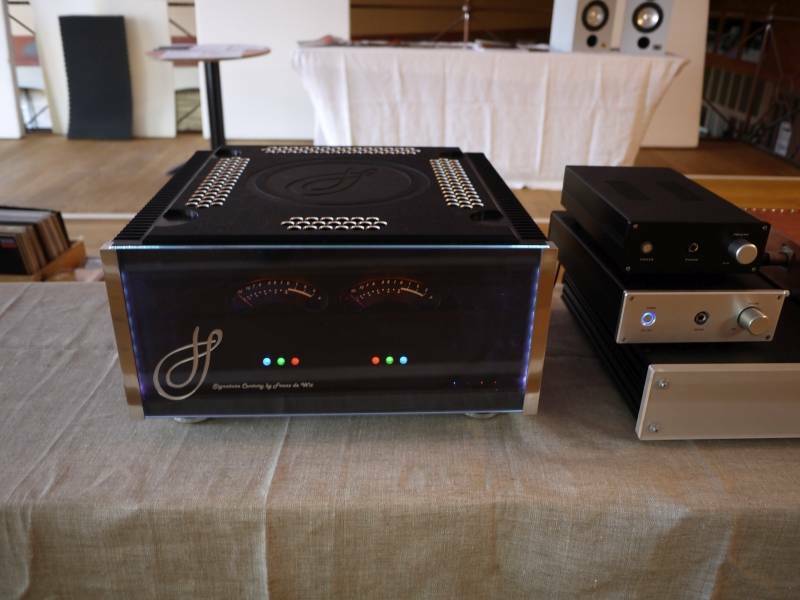 Absolare was excellent as always, soundwise, but you have to be an addict to tube amps dressed in leather. 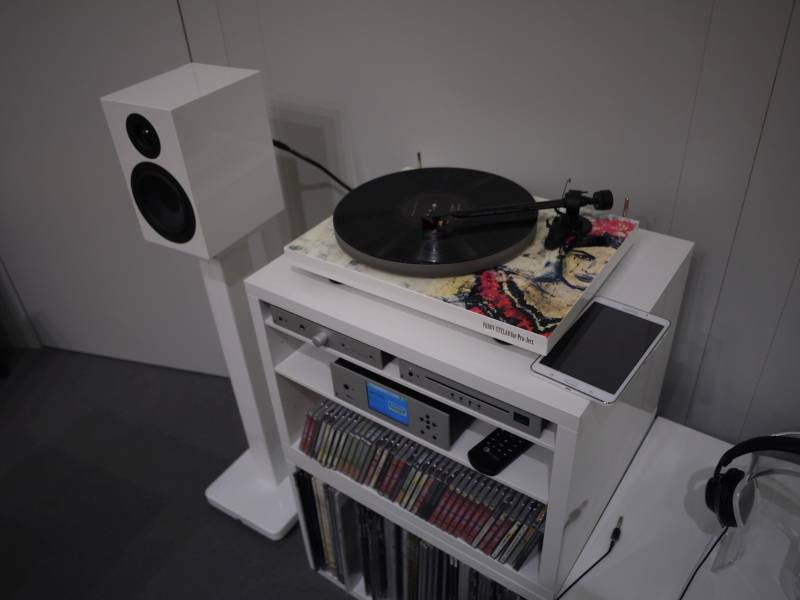 It was again with matching Kodo The Beat turntable and Schroeder LT tonearm. 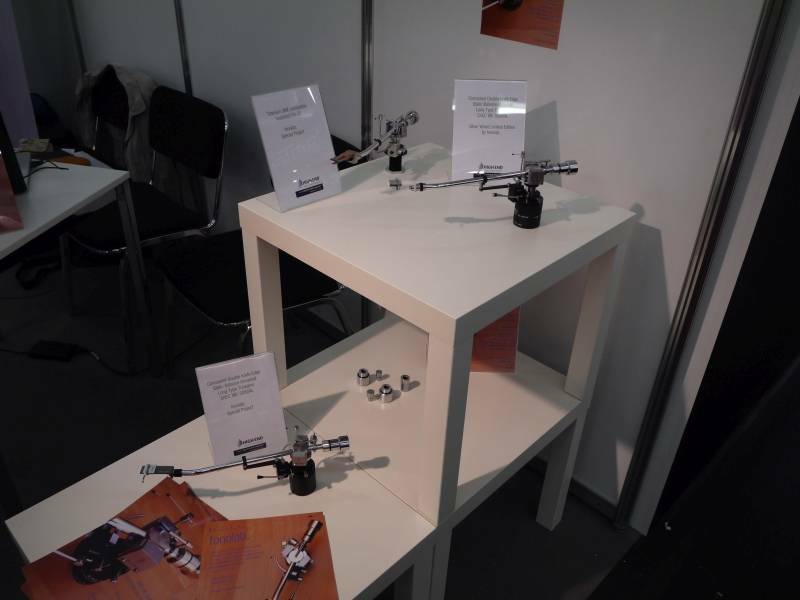 Fonolab from Czechoslovakia had their re-issue of the famous SAEC WE-308SX tonearm on display. 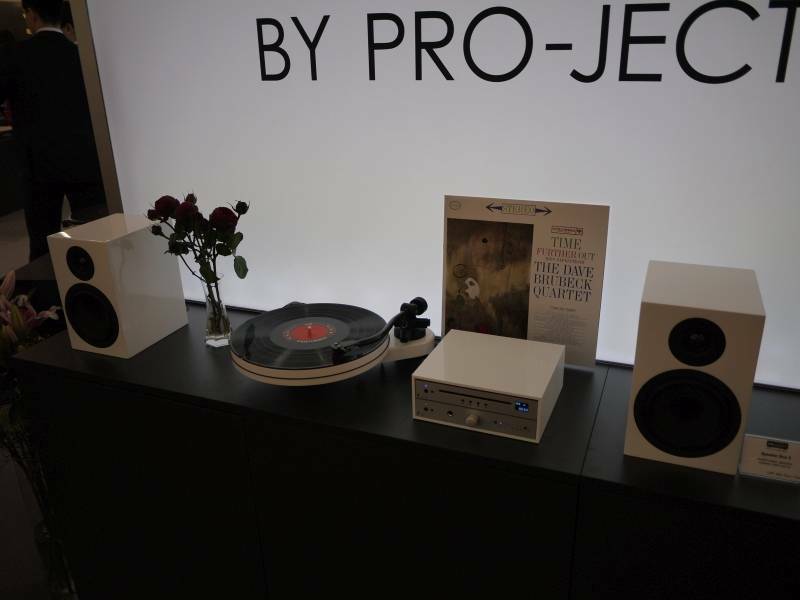 Pro-ject Audio had some really cute components in the new so-called “box design”. 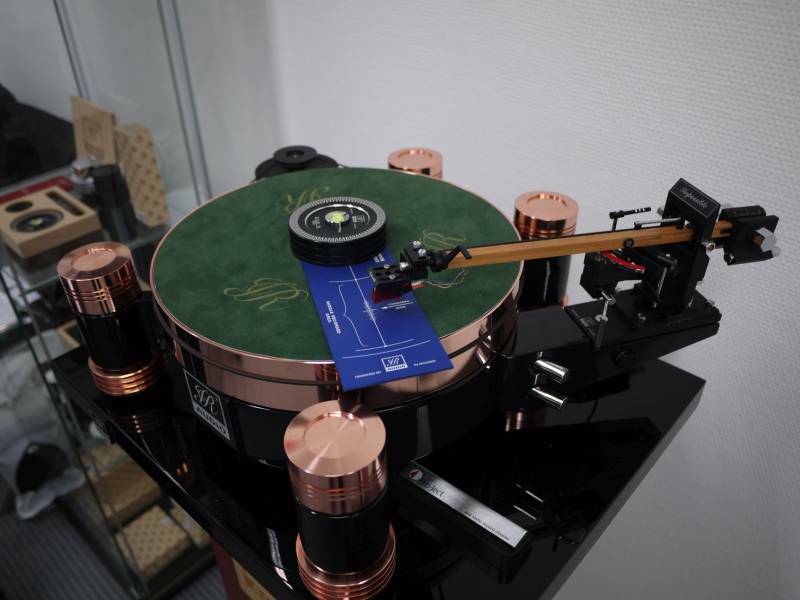 Reed from Lithuania showed not only their wonderful tonearms, but also had their big turntable, which you switch from belt drive to idler drive. 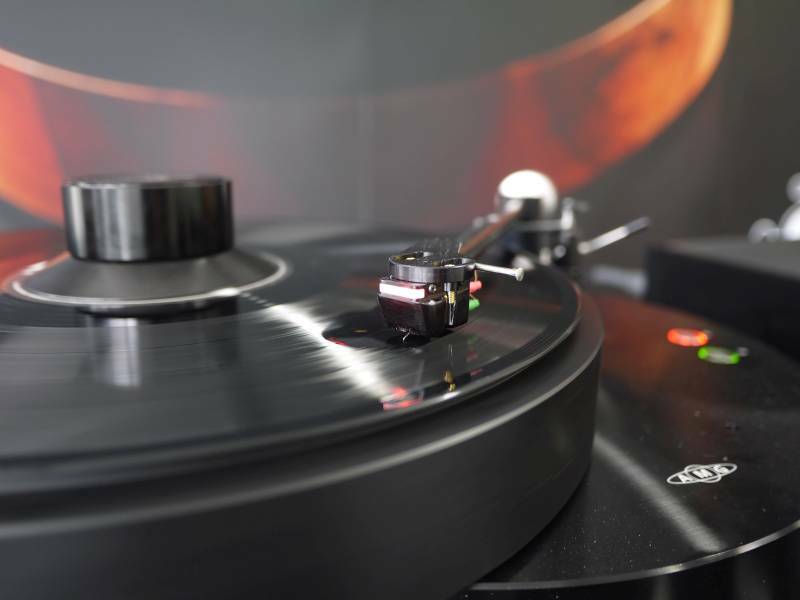 A special second part on record cleaning machines will follow soon.